Meet Chuck Steak. His insides are well done. He’s a cop, but not just any. He’s the best. Hasn’t been one like him since the ‘90s. Won’t work with partners and disregards the collateral damage his boss is always screaming about. Chuck Steak is USDA Prime badass, so having a bomb planted inside Mia, his secret, longtime girlfriend who’s been dreaming of marriage for almost a decade, should be just another day at the office. The problem is, an elusive villain challenges Chuck to deliver Mia’s dream wedding within a week’s time, or she’ll blow. Overwhelmed with “girly tasks”, Chuck’s forced out of his action-heavy comfort zone and into scenarios which require words instead of bullets. One results in the loss of his right hand, and when it’s replaced with a black hand, this white cop (now .65% black) encounters a new kind of villain: racism. With time against him, Chuck will have to find a non-violent way to convince the love of his life and her disapproving family that this isn’t another publicity stunt—that after all of these years, it’s finally time to ditch the legacy he’s been slaving over in favor of the family she’s always dreamed of. All while overcoming unexpected hurdles like his own department and their trigger-happy mentality toward minorities, backstories, a feminist gang, incredibly friendly Muslims, dementia, depression, gender equality, and trying to maintain action-orientated roots in an increasingly politically correct world. 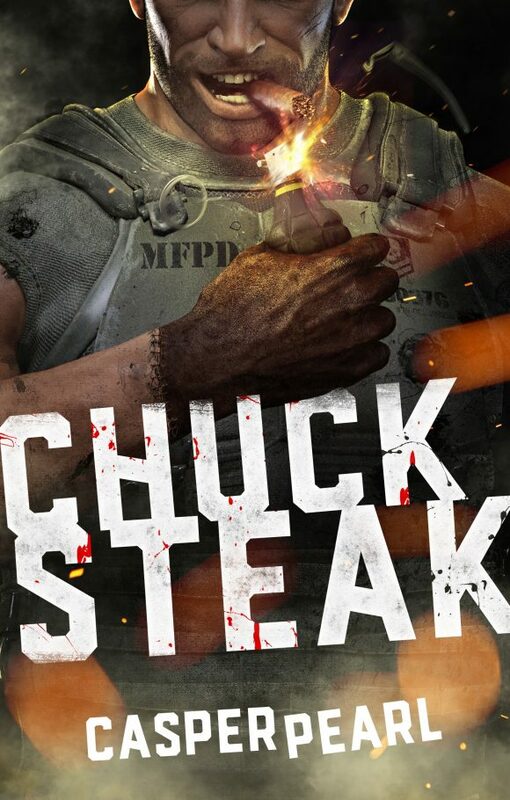 CHUCK STEAK is a violent, brutally honest satire of our very diverse, yet segregated society. It attempts to seamlessly blend themes of love and hate while examining the reasoning behind people’s sometimes idiotic actions. All while turning tropes on their heads and obliterating stereotypes with explosions.